We have marked a remarkable position in the market by offering the best quality array of Silver Wall Cladding Onyx Stone. We have carved a niche amongst the most dominant names in this domain, instrumental in providing excellent quality range of Cladding Stone. We are the trusted organization engaged in offering wide range of Natural Stone Cladding to our esteemed clients. These are highly used for decorating walls in hotels and resorts. The finishing and edges of stone wall claddings are hand dressed. 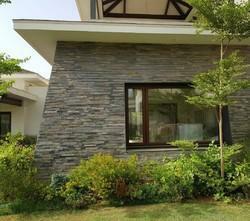 Asian Stones manufactures a wide range of Wall Cladding stones in Indian Sandstone, Marble and Slate stone. 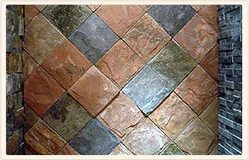 We deals in wide range of stones for elevation. Packaging Type: Packaging in corroborated boxes for domestic market india and wooden crates use export.